According to Spotify, it now has over 60 million paying users. Compared to its biggest competition, that’s double Apples Music’s 27 million subscribers. Spotify updated its subscriber information today with the new number. It’s impressively increased by 10 million over the 50 million subs the company announced in March. Last month Spotify claimed it had 140 million total users, which includes active users of the freemium plan. Apple Music doesn’t have a comparable free tier, so, any way you cut it, Spotify is still outnumbering the iTunes replacement by a lot of subscribers. If you are a streaming music fan, which one you will choose? Top 5 online streaming music service will help you. If you play the guitar, there’s a very good chance that you might have heard (or even own) of Fender guitars. For the uninitiated, Fender is a guitar manufacturer that has been around for decades, with their guitars finding their way into the hands of many legendary musicians across a variety of genres. This is because Fender guitars have a very unique sound to them that many guitar players seem to love, and if you agree to that statement, you might be interested to learn that Fender and Apple have teamed up for specially curated Apple Music playlists, where these playlists will feature songs that were performed using Fender guitars. So if you are trying to decide on which brand of guitar to buy, perhaps these playlists might give you a better idea on the kind of music and sound that you might be able to coax out of a Fender guitar. Macsome iTunes Converter supports you an excellent solution to remove DRM from Apple Music and you can stream unprotected Apple Music files to Chromecast at ease. To play music through your TV with Chromecast, download Google Play Music (Android or iOS). Open the app, select the cast icon, choose Chromecast from the device list, and select what you want to play. First of all, download the Apple Music files you want to stream. 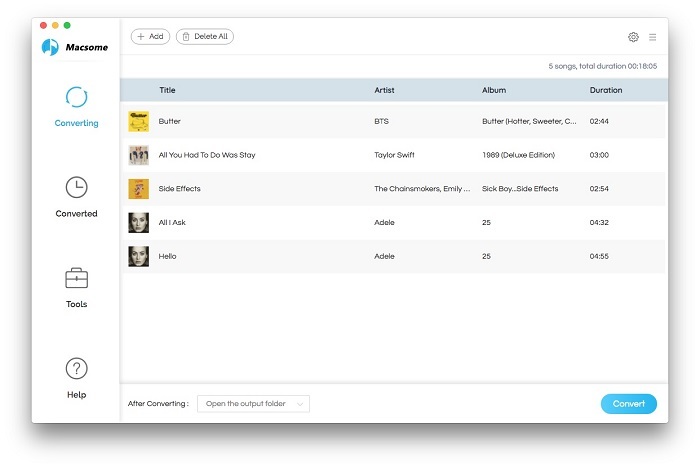 Open your iTunes, and find your whole Apple Music category. And then select the Apple Music files, click “…” to add them to “Playlist”. After this, you can choose the Playlist and click the cloud icon to download it to play offline. Forth, after you add these music files, now you can click the setting icon to set the output format and output folder. Here are MP3, AAC, FLAC, WMA for you to choose. 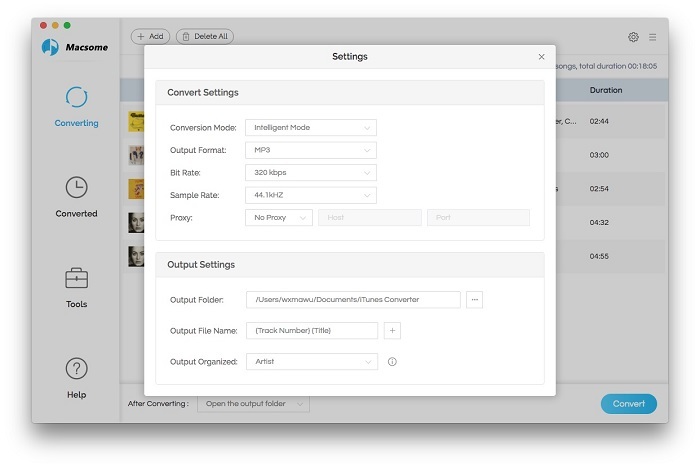 Fifth, you can click “CONVERT” button to start conversion. 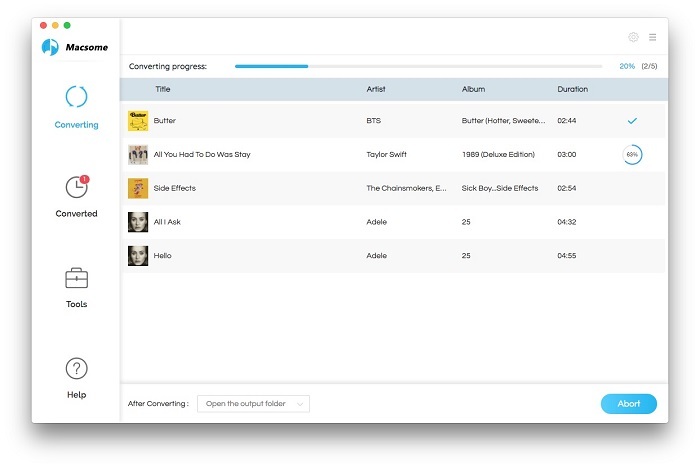 Sixth, when the conversion is completed, you can open output folder to find the converted music files and transfer them to your USB drive, and then stream them to Chromecast with the USB drive. Critics and fans alike are raving over JAY-Z’s 4:44 project and rightfully so. It’s arguably one of his most finest albums of his career. However, some people are griping over the fact that you can only hear it exclusively on Tidal/Sprint. But not to worry. An insider has told Billboard that 4:44 will be available on Apple Music and iTunes next week. Tidal has an exclusive one-week window while 160 iHeartRadio stations across the U.S. will be streaming it as well. There’s no word on when Spotify and other streaming services will have it available on their platform. The exclusive is part of a $200 million deal the cellular carrier signed with Tidal earlier this year. Physical copies are also in the works but there’s no timetable on when the project will be available on CD or vinyl. There’s no word on when physical copies will hit stores, but it looks like JAY-Z has more promotional stuff planned for his 4:44 album.